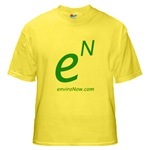 About Us "If you never go off on a tangent, you will keep going in circles�"
� Greetings and thank you for visiting this enviroNow.com� Site This website is the endeavor of Ohdeas Incorporated. Ohdeas Inc. was founded in 2002. "We are an idea to implementation company. Now that is a great Ohdea�!" The name comes from a combination of the word Oh and Ideas. It fits our philosophy that "Our ideas should make you say Oh! We put the Oh! into ideas.�" The arrow that is tangential to the O represents our motto that "If you never go off on a tangent, you will keep going in circles�" and it points to the right showing that in any situation or solution "the only way out is forward." To become the leader in idea development and implementation. To be a community partner. Ohdeas Inc. recently joined the Homewood Area Chamber of Commerce..
To promote safety and environmental sensitivity. To consistently market products and services that bring unique value to our customers and partners in a way that is positive to the communities, environment and economy. Agility - Stay flexible and innovative in our approach and thoughts. Honor - Operate in an honest and fair manner. Passion - Do everything and only things which we are passionate about. Leadership - Do what is right. Develop what is right. Step up first. The ultimate goal is to serve the needs of others. We look forward to bringing you exciting and fun products and services. If we can be of assistance to your business please contact us using our online form.